Need a dentist in Portland, Maine? 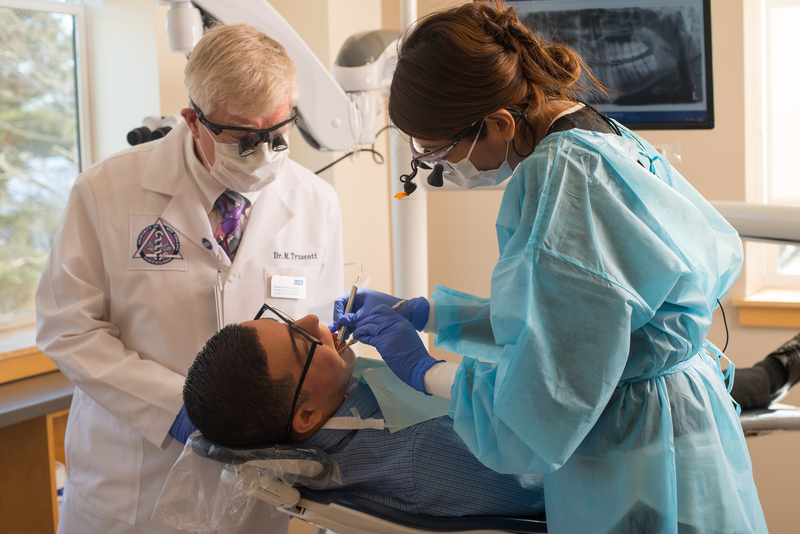 Discover UNE’s Oral Health Center — the clinical educational center for UNE’s College of Dental Medicine. At our state-of-the-art clinic, UNE dental students will address all of your oral health care needs under the supervision of our licensed faculty dentists, at affordable fees. We maintain all current clinic compliance policies required to ensure a healthy, safe environment for our patients. Our dental services are offered at low, affordable fees, and we are a participating provider with Northeast Delta Dental and MaineCare. To schedule a new patient appointment, call (207) 221-4747, or complete the form at left to request a call back from our team. In the initial call, our team will go over the new patients process, answer any questions you may have, and — based on your call — schedule an appointment. Visit our New Patients page to understand the process and terms for care. “Our goal is to provide you with comprehensive, patient-centered oral health care, for a reasonable fee, in a comfortable, friendly, and professional environment.” - Jon S. Ryder, D.D.S., M.S.